I’m going to call my mom Aggie a “seasonal meal maker.” Meaning, she made for dinner whatever was in season. 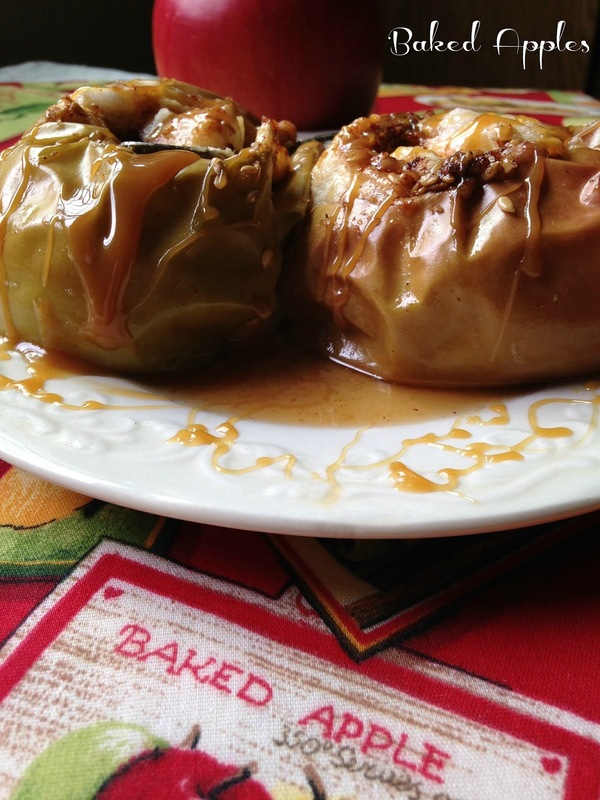 I know what your thinking, “That’s great, what’s wrong with that!” Well nothing is wrong with that really, but when she made let’s say “baked apples” for dinner, that was all she made. Aggie didn’t make anything to go with her seasonal meal, all you got was one lonely baked apple, sitting on your plate. 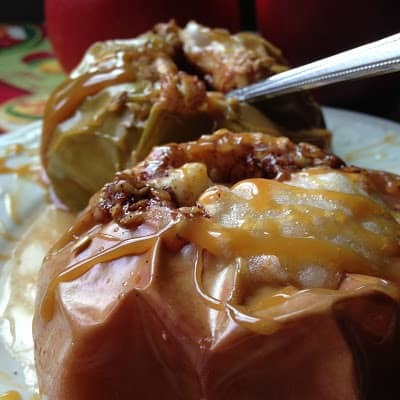 I’d like to add here….when I was a kid and your mom stood on the front porch and called your name ~Lynn~ to come in for dinner, after playing outside all day I might add, the last thing you wanted to see was a baked apple sitting on your plate. As you can guess, none of my friends were asking me if they could come to my house for dinner!! Aggie would say, “Do any of your little friends want to come over to eat?” No mom, they don’t…. Here is a short list of Aggie’s Seasonal Meals. If apples were in season, she made baked apples for dinner, acorn squash in season, we had baked acorn squash, corn-on-the-cob was in season, now this was big time, we each got a stick of butter on our plate, with a shaker of salt, my personal favorite was when rhubarb and watermelon was in season. So you get the picture…I’m not sure what the heck we ate during the months of Jan.-March. 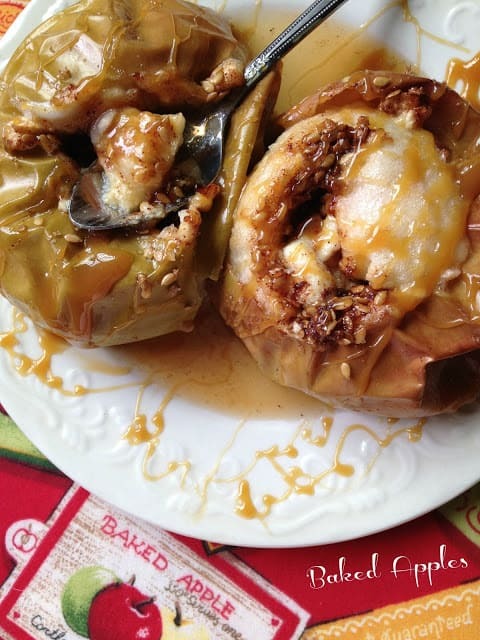 Looking for a delicious and easy dessert recipe? 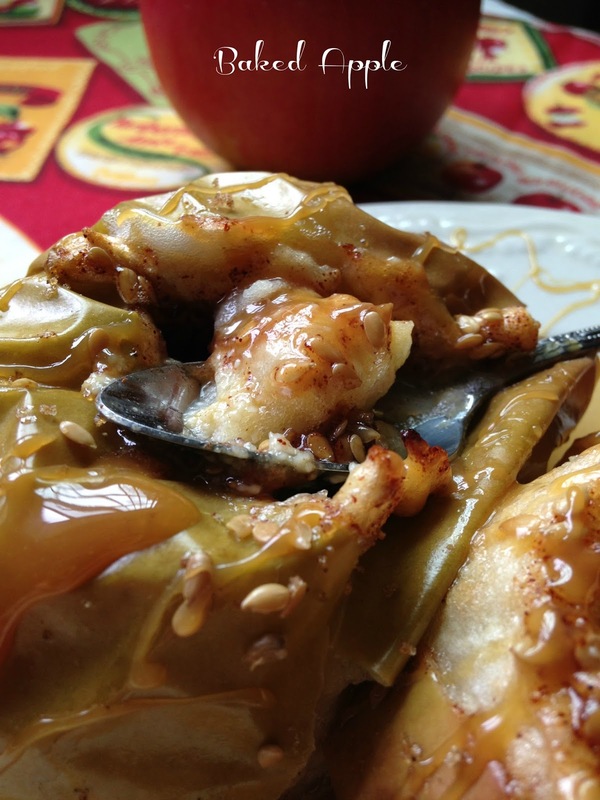 Give this recipe a try..
Preheat oven to 375º Rinse and dry apples. Using a sharp paring knife, cut out the cores and seeds, lightly scrap out some of the inside of the apple with a small spoon, keep bottom of apples intact. Place brown sugar, cinnamon, pecans and flax seed in a small bowl. Stir to combine. 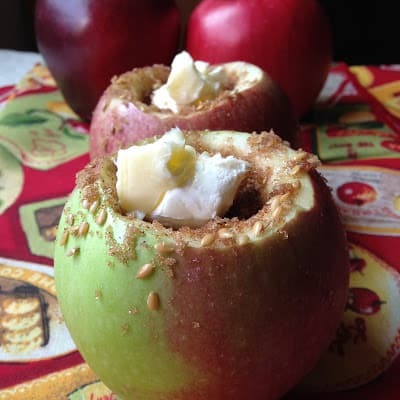 Fill each apple with brown sugar mixture. Put apples in a baking dish. 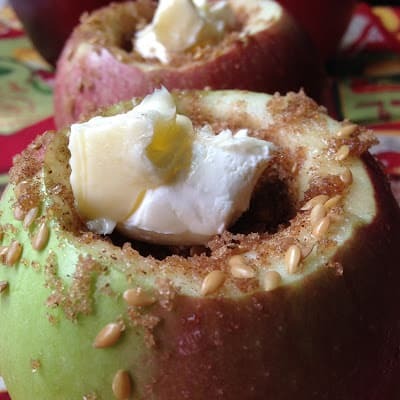 Place a quarter piece of cream cheese on top of each apple, then dot each apple with a quarter piece of butter. Pour boiling water in bottom of baking dish. 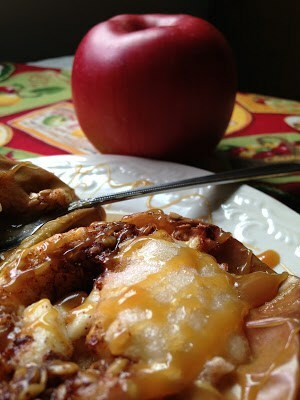 Bake at 375º for 30 to 45 minutes and apples are cooked through and tender. Remove apples from oven. 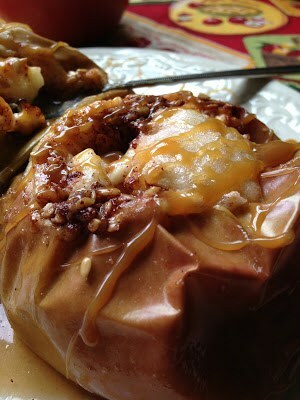 Drizzle baked apples with caramel-butterscotch ice cream topping.